Caution prevailed for the second session in a row as investors wait for the Budget for further cues. 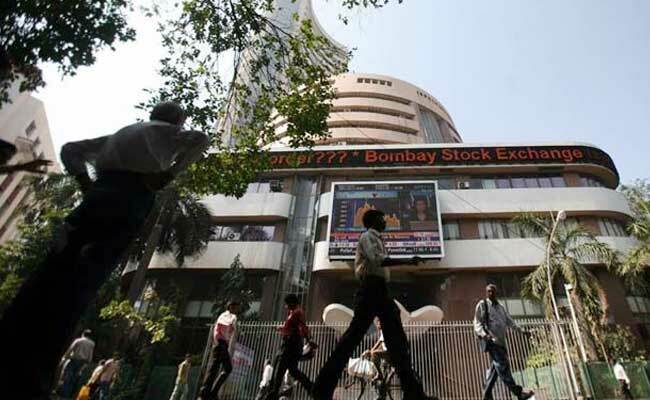 Mumbai: Benchmark Sensex ended below the key 36,000-mark in see-saw trade today as investors remained on the sidelines ahead of the Budget. "Investors are awaiting the big budget day while the expectation for this budget is muted compared to what was anticipated over the last two years. "The main requirement is to have a good balance between fiscal discipline and growth reforms. Rural economy will be the key in the budget but infrastructure development and reforms are also likely to be highlighted. Some tinkering can be expected on corporate and individual taxation fronts," said Vinod Nair, Head of Research, Geojit Financial Services. According to provisional figures, foreign portfolio investors (FPIs) sold shares worth Rs 105.56 crore on net basis while domestic institutional investors (DIIs) also offloaded equities to the tune of Rs 281.65 crore yesterday. Meanwhile, drug major Dr Reddy's emerged as the worst performer among Sensex constituents by plunging 3.75 per cent, followed by Tata Steel at 3.49 per cent. Oil & gas and bankex managed to close in the green. In Asia, Japan's Nikkei ended lower by 0.83 per cent, while Shanghai Composite Index shed 0.21 per cent. Hong Kong's Hang Seng, however, rebounded 0.86 per cent. European shares were trading higher. Major indices in France and Germany were up by 0.26 per cent and 0.32 per cent, respectively ahead of US Federal Reserve's interest rate decision. UK's London's FTSE also moved up 0.08 per cent.